Subwoofer School is in Session! 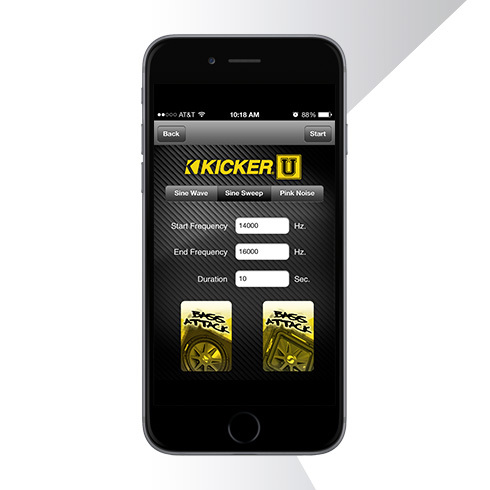 You've now enrolled into KICKER U, where you have instant access to a toolbox of mobile-audio installation knowledge. 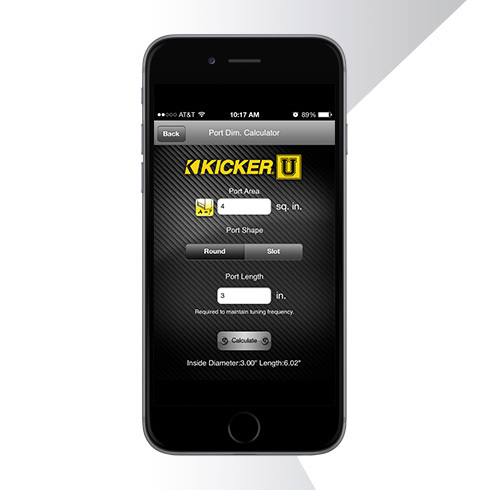 Let KICKER U help you design and build custom enclosures and assist with wiring subwoofers. The following tools are included in the full version: Box Builder, Tuning Frequency Calcualtor, Port Dimension Calculator, Subwoofer Specs, Wiring Wizard, Power Wire Calculator, Tone Generator and Bass Attack which gives you the option of two bass tracks to test your system. 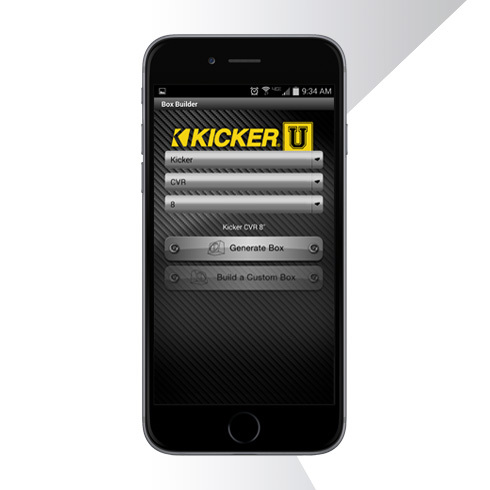 You can also find your local dealer at the touch of a button if you've decided to have your system professionally installed or if you just need a little help. 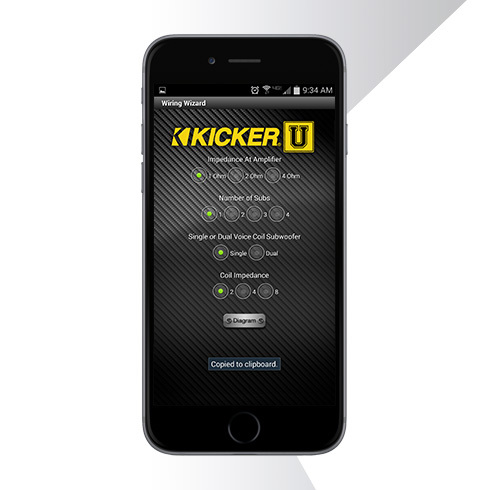 Select from preinstalled KICKER product specs to build a box for your KICKER sub OR build a custom box by manually entering specs for your products. 2. Select your port shape (round or slot). 3. Choose an inside diameter. 4. Enter a length for your port in inches. 5. 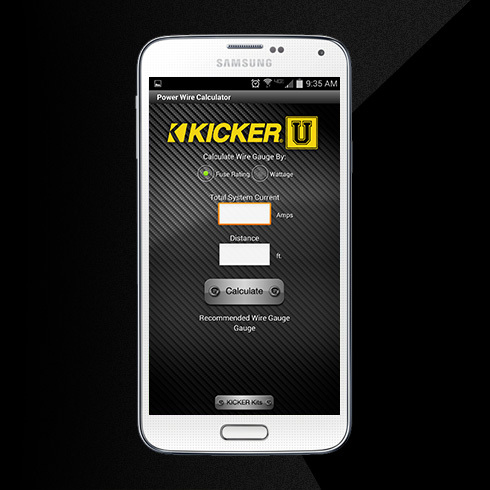 Hit the "Calculate" button! 6. Get your tuning frequency (in Hz)! 3. Enter a length for your port in inches. 4. 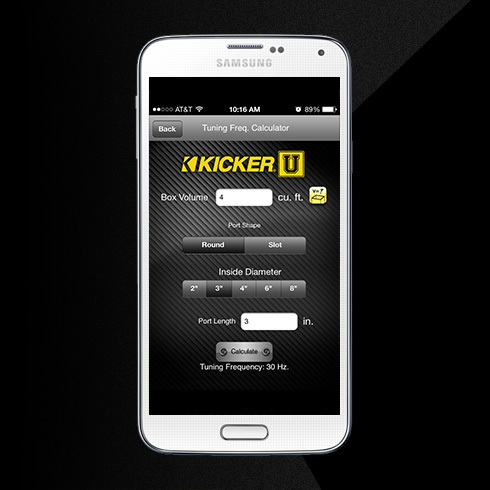 Hit the "Calculate" button! 5. Get your port dimension! 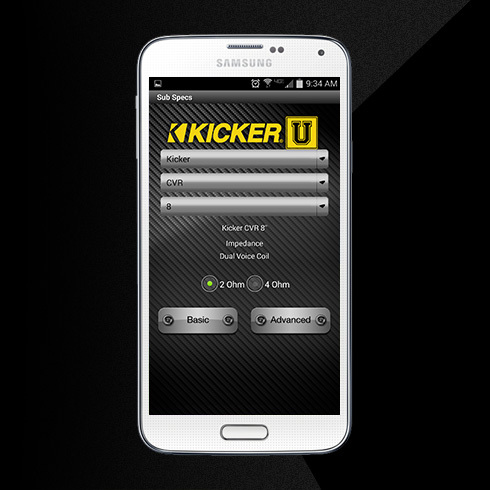 Get specifications on subwoofers by simply selecting their information. You now have information such as, cutout dimension, mounting depth, power handling, SPL, Le, Revc, Qms and Xmax right at your finger tips! 2. Enter the number of subs your are installing. 3. 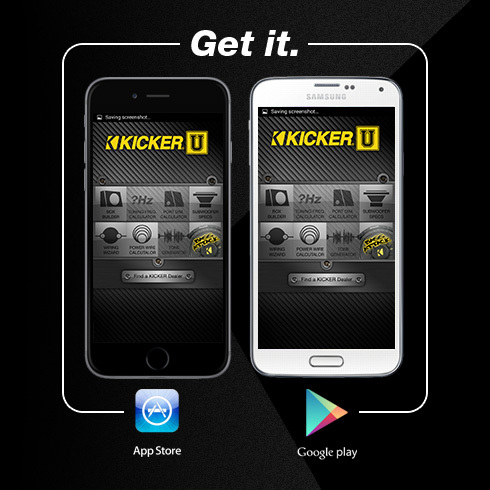 Select single or dual voice coil for your subs. 4. Then select the coil impedence. Calculate what guage of power wire your install calls for by simply entering your total system current and distance based on your fuse rating or wattage. Create and play a sine wave, sine sweep or pink noise by entering frequencies and selecting the duration of the sound.